Suction-assisted lipectomy (SAL), traditionally known as liposuction, is a method of removing unwanted fatty deposits from specific areas of the face and body. Small incisions are made and a cannula is inserted attached to a vacuum device that suctions out the fat. Suction-assisted lipectomy is not an alternative to weight loss. It is intended for use on localized areas of fat that do not respond to diet or exercise. 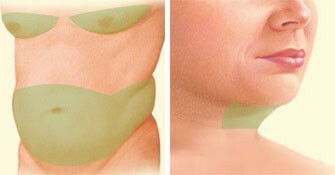 Areas suitable for liposuction include the chin, neck, cheeks, upper arms, area above the breasts, the abdomen, flanks, the buttocks, hips, thighs, knees, calves and ankles. 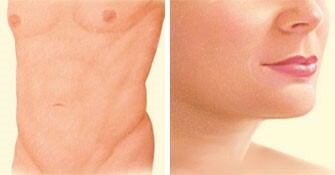 Liposuction can improve body contour and provide a sleeker appearance. 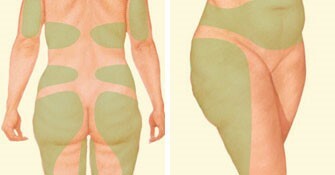 The procedure takes from one to four hours, depending upon the amount of fat to be removed. Procedures that are not too extensive can be performed on an outpatient basis on patients under local anesthesia. Extensive procedures are usually performed on patients under general anesthesia. After liposuction, you can expect some temporary bruising, swelling, soreness and/or a burning sensation. The treated area may feel numb for a few months. After suction-assisted lipectomy, patients can generally go back to work within one week and can resume strenuous activity in four weeks. Swelling may persist for up to six months. The best and most longlasting results from liposuction are in those patients committed to a healthy lifestyle, which includes proper nutrition and physical activity. Medications are administered for your comfort during the surgical procedure. This procedure is usually done under, local, local with IV sedation or general anesthesia. You will be given specific instructions that will include how to care for the surgical site, your activity level, when you can shower and when to follow up in the office.